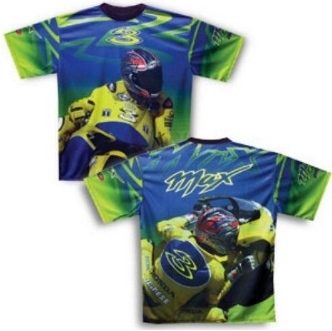 Max Biaggi T-Shirt with Rider Print. Very colorful Nylon football shirt. The print shows Max from the front and the back of the shirt features a rear view of Max on his bike. Available in size M & XXL. This is of course official Max Biaggi Merchandise.